A gentle breeze ruffled the massive oaks on the sprawling spring-green lawn of the Texas Capital in Austin this past week. Eight-thousand-plus people were gathered to pray. The sights and sounds of people of like mind and faith—some kneeling, some with hands lifted, some standing—all with heads and hearts bowed, humbled before the Sovereign God of the Universe, confessing the sins of our fathers, the sins of our nation, and our own sins. How sweet was the sound of those voices lifted to Heaven, recognizing the only hope for our nation comes from The Lord God Almighty and His Son, our Lord Jesus Christ. As we held hands and prayed with people of many races, nations, and ages, I felt the presence of the Lord and His peace and knew we were standing on holy ground. At the close of the hour of prayer, we sang God Bless America, and my eyes could no longer hold back the tears. And this scene is being repeated in State after State, as Franklin Graham, Billy Graham’s son, calls Americans to prayer. Praying not to a god of our imagination, or an idol of wood or stone, but to the God of Abraham, Isaac, and Jacob—The God of all creation—El Shaddai, The Lord God Almighty. The only God. The God of our forefathers. And the God upon whose principles America was founded and has prospered–until we chose to turn our backs in ridicule of His holiness and righteousness and march to the tune of our own drum beat. But our God is a God of mercy, forgiveness, grace, and a love so deep our tiny hearts and minds do not have the ability to comprehend, unless we choose to come to the cross, and allow His Spirit to teach us His way. Almost 2,700 years ago a young Jewish teen was captured and carried to Babylon with thousands of other Jews. Jews who were given over to judgment by this same righteous, holy God for many of the same offenses Americans are participating in today. Their priests were corrupt. Their kings were evil. The people had forsaken the Lord God Almighty and perverted their worship and their ways. This Jewish teen, Daniel, spent seventy years in Babylon, just as God had told them through the prophet Jeremiah, and Daniel realized because of the books—God’s Word recorded by the prophets from the beginning—the time of their desolation was almost completed. So Daniel “…set his face before the Lord God to make requests by prayer and supplications, with fasting, sack cloth and ashes” (Daniel 9:3 NKJV). “Oh Lord, to us belongs shame of face to our kings, our princes, and our fathers, because we have sinned against You” (Daniel 9:8 NKJV). Daniel’s prayer is recorded in the 9th Chapter of Daniel, and I plead with you—take time to study this prayer and use it as a model, a template, for your prayer time. If you are concerned about the state of our nation, the condition of our homes and churches, and the peril facing our children, I ask you to set aside time every day to come apart from the chaos of your life and earnestly seek God—confessing your sins, seeking His forgiveness, asking His directions, and pleading for Him to create in you an insatiable appetite for His Word. We are in trouble, folks. Trouble no political party or candidate can fix. Trouble no stable economy or being great again can mend. If we are to survive as a nation and a people, we must seek God. Now. If like Daniel, we look at the Book, we will know there’s little time left to seek God’s mercy and grace and forgiveness. Little time left for our generation to repent and return to the God of our Fathers. Shelters, refuges, and tornadoes are all synonymous during springtime in Texas. While not all hail storms and tornadoes damage homes, nor are they all deadly; we never know which one will be the funnel or storm that drops out of the sky to decimate our dwelling and our life. But we understand—prepare before the storm exists, lest you be caught unprepared. Very early each year news reports warn folks to designate a place in our houses as a safe place, where the family knows to run and remain during one of these treacherous-devil-twisters. Inevitably these warnings come after dark; and during the early years of writing my now published YA novel Roped, I would gather everything Roped (as well as the other four books I’m working on) and head for our designated shelter—the laundry room. But one evening, while the grandchildren were with us, the storm was upon us before we realized the need to dash for cover, and we couldn’t make it to the laundry room. While I huddled in the bathtub with my precious little ones and all their stuffed animals and pillows, husband stood with neighbors on the back patio watching the clouds rotate overhead, striking less than ten miles north of us. It’s prudent to pick out a designated shelter, wait for the weather radio, or TV, or upside-down-ant-hill clouds to shriek a warning the funnel is on the ground near you, then dash inside—when you’re home. But where do you flee for shelter when there is no storm alert? When there’s no storm shelter, only the screaming freight-train of wreck and ruin gaining on you? Loss of a loved one, terminal illnesses, financial ruin, rebellious teens in trouble again, a mate who demands freedom, job loss—the list is endless. Storms of adversity whip around us each day. Where is your designated shelter, and how do you find your way inside, out of harm’s way? To peace and security? David tells us: “For Thou hast been my stronghold. And a refuge in the day of my distress…for God is my stronghold, the God who shows me lovingkindness” (Psalm 59:16-16 NAS). Yes, Jesus is our refuge, but you have to know the way into that place of comfort and peace. And it is much better to practice running to Him during peaceful times, rather than waiting until you’re swirling, injured in the chaos. “My soul wait in silence for God only, for my hope is from Him. He only is my rock and my salvation, my stronghold; I shall not be shaken. On God my salvation and my glory rest; the rock of my strength, my refuge is in God. Trust Him at all times, O people; Pour out your heart before Him; God is a refuge for us” (Psalm 62:5-8 NAS). The key to peace and comfort through the storm, is learning to practice peace and comfort before the storm strikes. I have two quiet places. Places I meet the Lord. My chair in our family room, with my Bible and a cup of tea, before the turmoil of the day begins. And (weather permitting) the swing in my backyard. Where do you meet the Lord? Have you designated an everyday shelter from the threatening storms? Rather than sitting in quietness, listening to the day’s weather report and warnings from my Sovereign God, letting Him order my day. “And your ears will hear a word behind you, ‘This is the way, walk in it’ “(Isaiah 30:21 NAS). “ ‘I will never dessert you, nor will I ever forsake you,’ so that we confidently say, ‘The Lord is my helper, I will not be afraid. What shall man do to me?’ “(Hebrews 13:5-6 NAS). Do the words Smokey and the Bandit ring any bells for you? How about “East bound and down, loaded up and truckin’?” The tune plays in my head as I pound the keyboard. For those of you too young to remember, thirty-five years ago today a maverick race car driver by the name of Bandit, played by Burt Reynolds, drove a hot, black Trans-Am across the movie screens of America. Bandit and the local Smokey, Buford T. Justice, played by Jackie Gleason, had a love-hate relationship. More hate than love. And then there was that shiny eighteen-wheeler and Fred and Cledus. Cledus was Bandit’s truck drivin’ buddy and Fred, his dog. To add a little romance, run-a-way bride, Carrie, played by Sally Fields, alias Frog, jumped in Bandit’s car, unaware they were racing the clock, nothing stoppin’ ‘em—Texas to Atlanta in twenty-eight hours, to deliver a truck load of illegal beer— $80,000 bucks was the prize. Critics panned the movie, but it’s popularity brought in $126 million plus two more Smokey and The Bandit sequels. And Americans entered Bandit’s chase, throwing God’s Word, principles, and morality to the wind, stopping at nothing to obtain the prize of their own choosing. But what’s that prize worth? And what does it cost? One of the phrases in the theme song “…lean back and watch ole Bandit run,” captured the hearts and minds of a generation. A generation gearing up to run with The Bandit—living life on the raw edge, traveling at Mach speed, gambling with love, life, and legacy. No caution. No rules. No stops. Just hammer down and win this game called doing what’s right in our own eyes. And we have watched several generations mobilize and run to win—but what are they winning? Contentment? Satisfaction? Peace? Judging from divorce courts and crime stats, I don’t think so. Cars are faster, highways are streamlined, speed limits are accelerated, and the words Stop, Caution, or Danger Ahead, have been cast aside like old Model T’s. Laws are meant to be broken, relationships redefined and marriage made a mockery. There is no such thing as absolute truth—at least that’s what our children are learning in public school and on social media. The behavioral stop sign has been tossed on the garbage heap and the sky’s the limit—for everything. This generation hears with their eyes. So why aren’t we showing them things of value? Or are we still trying to be their friend, rather than their parent? Before our days came into being, God numbered each one of them. He knows the beginning and the end. And we only have a sequence of twenty-four hour days allotted to our lifetime before we must give account of our stewardship to the Creator and Sustainer of the Universe—whether you believe it or not. I cannot sit silent while the truths of God’s Word are no longer allowed to be part of our schools, our government, public conversation, and even some churches. For many there won’t be a second chance, because they’ve bought his lie, and that great enemy of old, the devil, is daily blinding and dragging them into bottomless darkness and snuffing out their lives. The evening news recites the fatality stats in HD. But in spite of what this postmodern culture says, we are born to belong. God doesn’t want you out there alone, running as fast as you can toward a disastrous-dead-end. You were made to be part of a family and you can have a place called home. But ask yourself: Whose child are you? Who is your Father? Are you part of God’s family? You don’t have to run races to prove your worth to God. He loves you so much even while you were a willing sinner, He gave His Son to die so you could live with Him forever. There’s a place at His table—just for you. Won’t you please come home? “There is therefore now no condemnation for those who are in Christ Jesus” (Romans 8:1 NAS). “And behold, I am coming quickly. Blessed is he who heeds the words of the prophecy of this book” (Revelation 22:7 NAS). Lisa Lickel lives in the rolling hills of western Wisconsin. Surrounded by books and dragons, she writes inspiring fiction. Her novels include the Buried Treasure mystery series (The Last Bequest, The Map Quilt and The Newspaper Code) and the award-winning romance, Meander Scar; A Summer in Oakville, co-authored with best-selling author Shellie Neumeier, Healing Grace, The Last Detail and a series of historical early reader books, First Children of Farmington among others. She also writes short stories, feature articles, and radio theater. 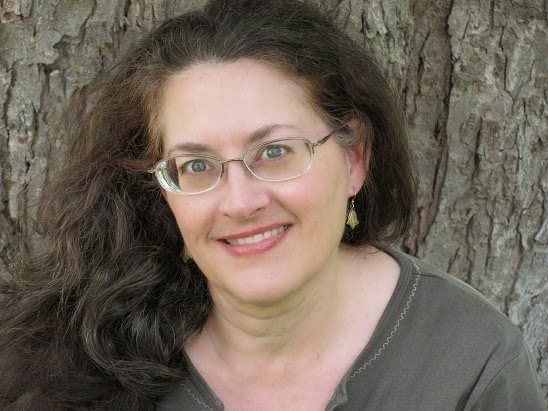 She is a member of Wisconsin Writers Association and the Chicago Writer’s Association. Lisa loves to encourage new authors through mentoring, speaking, and leading workshops. Lisa also is an avid book reviewer and blogger, and a freelance editor. She is married to a high school biology teacher, and they have two sons and daughters in law, grandchildren and a grand-kitty. Good morning everyone, I’m so tickled to have Lisa Lickel with us on the blog today. I’ve just finished her book, “Everything About You,” from the Prism Book “Love Is” series, and oh my goodness— it is great! Thanks for having me here, DiAne. Wow—when did I first want to write? I suppose I really enjoyed writing short stories in the fourth grade, one about kids lost in a cave. We had a fun teacher, Mr. Waltenburger—I mean, how could you not love that name? Then, later, in college I wrote and illustrated a rhyming children’s story about pollinating bees and sent away for information from a magazine article which replied they’d love to publish my book for $X—which, fortunately, I didn’t have. I didn’t really start writing again until my kids were ready to fly the coop around 2000. I was gainfully employed and could afford to take a reputable writing course. Gee, girl, wish I’d know about the illustrations, I would have loved to have shown them off in this interview. Oh well! Tell us about your family, where you grew up, and where you live now. I have public school parents, grew up in Racine, Wisconsin (home of JI Case, WH Horlick family who malted milk, and Johnson Wax) with one younger brother who became a chemist. I went to college “up north” where I met my husband, and, of course, we settled on the eastern side of Wisconsin where he has been teaching science to high schoolers and we raised our two sons. But we’re getting ready to move to the western side of the state to a farm we bought years ago, and relax a bit. We’re grandparents now and look forward to spending more time with those young’uns. Grandchildren. Ahh, God’s reward for being parents! Looking back, tell us what you wanted to be when you grew up? That question makes me smile. I was looking at my baby book mom kept for me. Entries there, before kindergarten, say “nurse, teacher, mom.” I sort of got to be all of them—what mom isn’t part nurse and teacher? That would be amen and amen! Changing gears for a moment—has there ever been a special moment when you felt the presence of God leading you in a direction you had no idea where His direction was leading? Tell us about that time. Ooh, constantly, starting with the writing thing back in 2000/2001 when Jeremiah’s voice—in that Charleton Heston-Moses voice kept repeating over and over in my head, “I know the plans I have for you…” Every time I’d think, Really—are you sure, God? I’m supposed to write—what? And…and teach others? You mean, like, talk to people? But, but, but…And then when it wasn’t going so well, saying in my snippy voice, “If you want me to get a different job, God, you’re going to have to lay the perfect one on me.” So, He did. But it was rotten inside which only took me a day in that office to see. I haven’t cried so hard as I did that next morning, explaining that I couldn’t go back to that supposedly perfect office. Yeah, God knew the plans He had for me, I just had to trust Him. Boy, do I know all about that snippy voice thingy. It took me a long time to turn loose and just write. It’s amazing you use that verse in Jeremiah 29:11. I have a plaque on my office desk, turned so I can see it while I’m writing, that quotes the whole verse. You’re a quicker study than I’ve been. I guess reading is a given, hm? Travel, think about travel, and lately, plan our new home. Can’t wait! What is the greatest life changing moment in your life to date? Becoming a grandparent! My kids waited quite a while to have kids of their own; they were excruciatingly responsible in putting some order to their lives first. But, oh…my older daughter-in-law wanted the women in her life—her mom and me—to be part of the birthing process for their first child, and though I hesitated, I was there! What an amazing experience. I still think about seeing our precious little one—it’s like watching a piece of soul come loose to be purposefully shared with others. Such a huge responsibility. What a wonderful daughter-in-love you have to share that moment. The only word I can think of is …humbling…as you become part of God’s extraordinary plan and to once again think of those words “For I know the plans I have for you…” and apply them to that precious little gift from our Father. Before we talk about your newest book, I must ask you to share your counsel for all the new writers reading this blog—words you wish you had received when you first entered this writing journey. Publishing is a business. Period. You can be as starry-eyed and eager and loving and hopeful as you want as a writer sharing your blood, guts, and soul, but remember, you’re not writing to get published, you’re writing to be read. The company that is investing a lot of money in you wants a good return, so you have to get into position to do that. Find and work with seasoned authors who are willing to share all parts of the business and what you need to know about the process of selling yourself. Keep growing in your craft—you will never, ever know enough. And as soon as you learn something, it will change. Be flexible. Be kind, roll with the punches, don’t waste time with anyone who is jealous of sharing shelf space or unwilling to partner at a book signing. Seriously—life is too short. Turn around and help the next person up. Buy a few books and do some reviews. Network, network, network! And know when to take a break without any regrets or apologies. I’m classifying your words in these last three paragraphs as MUST READ for all writers. Words I wish someone had told this starry-eyed, ignorant girl who years ago sent her first manuscript off, only to receive a rejection in the return mail. I threw those pages from my soul into a drawer for a number of years…until God did some serious remodeling in my life. Last year I found out, the hard way, of course, every word you’ve spoken above is the gospel according to life as a writer. Thank you, Lisa. 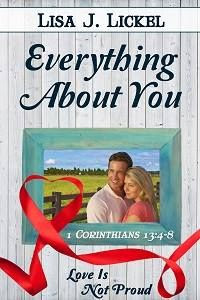 Now let’s talk about “Everything About You.” How about a little peek? And info where my readers can find this great read. “She needs a movie set miracle, he needs cash…can a farmer morph into a movie star in five days? If Shelly has her way, Danny will become America’s next heartthrob and she’ll get her own promotions company. He’s already gorgeous, a little naive, and needs to work on that accent. To Danny, Shelly is on the pompous side, but holds the key to his real dreams…if he can figure out all the rules, say the right things for the daily vlog session, keep his heart strings in place, dodge Shelly’s vicious former boyfriend and the movie star diva. Shelly’s about to lose a lot more than her heart if she can’t get a handle on her wounded pride and learn who to trust. She needs a movie set miracle, he needs cash. Hubs grinned. “Don’t make any enemies. Folks might not like you taking their picture and calling ’em stupid. We live in a small subdivision off a country road with only two ways in and out. The Texas Road Department has been working on our stretch of road since way before Christmas. They’ve been diligent to put up signs for detours and closures—big signs—that can be seen from far away. I glanced up again and the school bus ripped right by the road closure sign and then had to back up a long block to turn around. Sigh. Not one person paid any attention to the warning signs. But don’t we all do the same thing as we zip through life? Somehow thinking we’re immune to the consequences of not following warnings. God spent a great deal of time recording His warnings and the consequences of bolting through the barricade. Yet we don’t even take the time to educate ourselves on the words the Spirit of God breathed to the prophets, to Christ Jesus, to His disciples, and to us. He warned us over and over again, and what do we do? Race down that closed off road, believing we are going to be the only one who makes it through the barrier unscathed. He warned Ancient Israel, and this warning still screams at Americans, “Any kingdom divided against itself is laid waste; and a house divided against itself falls” (Luke 11:17 NAS). And what have we done? Elect and re-elect a president who is sprinting toward the finish line with the label of the most divisive president in U.S. history. “For I hate divorce, says the Lord, the God of Israel” (Malachi 2:16 NAS). Yet the divorce stats within the church are basically the same as couples outside the church. The Book of Proverbs tells us, “Do not associate with a man given to anger or go with a hot tempered man” (Proverbs 22:24 NAS). And what would we call the front runner on the Republican side in the upcoming election? Romans tells us, “Do not forsake the gathering of yourselves together with other believers” (Hebrews 10:25 NAS). But many say, I work all week, I’m tired. I’ll just watch church on HDTV—Hmm. “Do not be bound together with unbelievers; for what partnership have righteousness and lawlessness, or what fellowship has light with darkness” (II Corinthians 6:14 NAS). Another warning gone by the wayside—the believer is always going to change the unbelieving date…until they fall in love. Then what are they to do? God is not a cosmic kill-joy. These warnings are to keep His children from plunging off the cliff. The Word warns, “Be ye kind one to another, tender-hearted, forgiving one another just as God in Christ also has forgiven you” (Ephesians 4:32 NAS). I don’t see any exclusions for rush hour on the freeway, do you? And listening to the local news confirms we live in a very angry society. “Remember the Sabbath Day to keep it holy” (Exodus 20:8 NAS). I’m old enough to remember Sunday Blue Laws, and I can say with certainty, we never missed a meal or went to church naked because the stores weren’t open on Sunday. Sunday afternoons were family days. What warning barrier have you catapulted over? Which warning signals have you ignored? We have all sinned as individuals and as a nation. “There is none righteous, not even one” (Romans 3:10 NAS). Remember, God stands ready to forgive our sins, but the consequences of disregarding God’s warnings remain. “Enter His gates with thanksgiving and into His courts with praise. Be thankful to Him and bless His Holy name. For the Lord is good. His mercy is everlasting. And His truth endures to all generations” (Psalm 100:4-5 NAS).